November Spotlight Brewery- October is finally over and we can move on from carving Pumpkins to carving Turkeys and S turns in fresh powder. We have gone from wondering when snow will come to hoping it will come on our day off. The Pettyjohn’s crew fully embraces winter and welcomes the next Upslope storm. 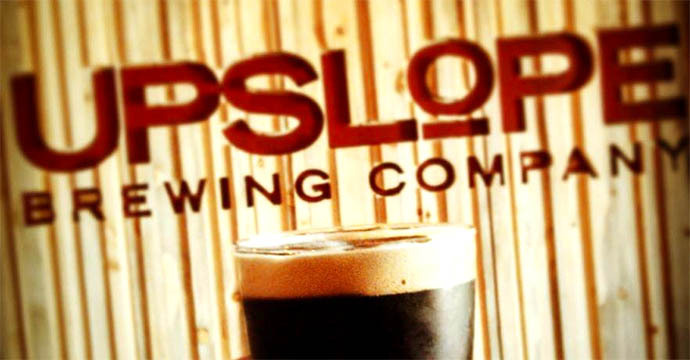 Oh wait a second, the Upslope storm has hit and it is great pricing on all packages of Upslope beers all November. Specials of a dollar off or more per package apply for the whole month. Let us start with their #1 release, Upslope Pale Ale. A clear, crisp, dry pale ale with refreshing characteristics and a signature dry finish blend smooth malt flavors with a unique spicy hop bitterness. Their second release is #2 IPA. This is Pettyjohn’s NUMBER ONE selling craft beer. No need to elaborate. Upslope’s third ale is their Brown Ale. It has been brewed in the English tradition with an infusion of American creativity. A rich malty backbone balances an assertive hop character, and ends with a smooth, dry finish. Then came the #4 addition to the core line up- the Craft Lager. It is brewed entirely of malted barley making it the perfect Colorado-style session beer. Also look for special pricing on the seasonal six packs, which may include Blood Orange or Foreign-Style Stout, as well as the four packs, which may include Pumpkin or X-Mas. Fulfill you’re carving craving this November with Pettyjohn’s and sweet deals on Upslope.